Turning unwanted carbon dioxide emissions into useful energy may sound too good to be true, but one chemist at the University of Calgary says he’s created a technology that can do just that. Postdoctoral researcher Paul Addo has developed a fuel cell which can convert carbon dioxide into something more useful – such as natural gas or a biodegradable plastic – by exposing it to high temperatures. 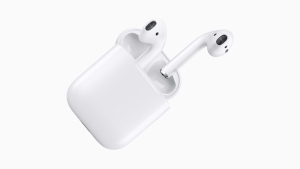 He says the conversion system, which he’s been working on for six years, is the first of its kind. It still needs work to reach the stage where it could be effectively used on a large scale, although Addo has co-founded a company which is working with other companies from Canada, the U.S. and Europe to further refine the technology. “I think the future is bright, if we keep on this pathway,” he told CTV Calgary. Addo recently won a Mitacs Award for his work. The awards are given to researchers who have shown bold innovations throughthe internship programsof non-profit research organization Mitacs. 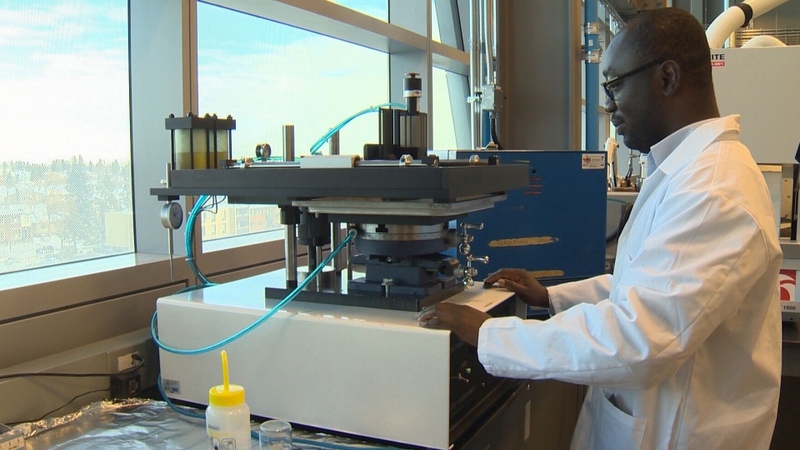 Postdoctoral researcher Paul Addo is seen in a lab at the University of Calgary.